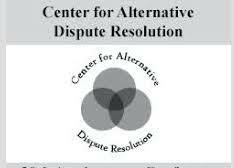 The Center for Alternative Dispute Resolution will be holding its 2019 Annual Conference June 19-21, 2019 in Greenbelt, MD. This year’s theme is “Managing Conflict and Removing Barriers to Collaborative Decision Making.” If you are interested in domestic oriented and DC centered conflict resolution work, this is an ideal conference. More information is here including registration information.